If you’re in Boston, God knows you’re sick of the snow and can’t wait for spring. 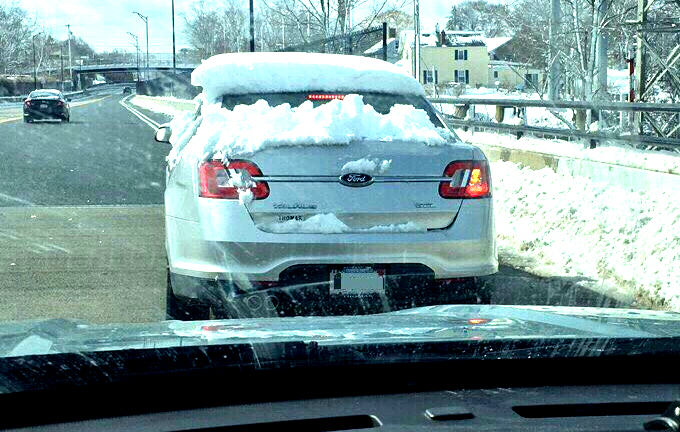 But the Massachusetts State Police say that’s no excuse not to remove the snow from your vehicle before hitting the road. 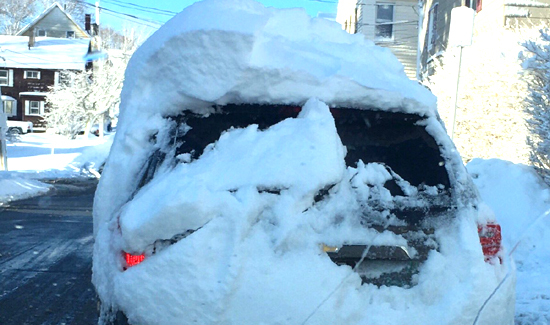 “Please take the time for yourself and those around you to #ClearTheSnowBeforeYouGo,” police tweeted. For good measure the Troopers included a bunch of photos of cars covered in snow being driven, creating unsafe conditions for everyone. Drivers pulled over for having too much snow on their vehicle can face a fine of up to $200. Check out the pics and video here.